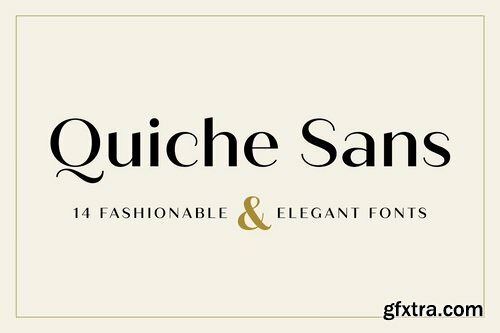 Quiche Sans is a high-contrast, sans serif typeface with monoline stroke endings and angled stems. A sibling to the Quiche family with the ball terminal endings removed. With weights ranging from thin to black and matching italics, there are a variety of applications that the fonts can be used for: print, web, branding, advertising, magazines, products, packaging, labels, etc.